Here’s three App’s to get you rolling and I’ve always had a belief, if the App takes more than five minutes to learn. DELETE IT! The second of Instagram’s trio of companions is Layout, Instagram’s official companion collage app. It’s a simple app that features several layouts for stitching several of your photos together. We love this app – it’s fully-featured but not bloated, with all of the tools (and nothing more) we’d expect from a collage app. This goes without saying, but make sure not to use the app too often or stitch together too many pictures. Keep your content focused. The Layout app is ideal when looking to feature multiple shots from the same product or event. For example, three different shots of your happy employees from your recent company outing, or the four colors available for your newest product. Ensuring each post has only a single purpose or focus ensures your message isn’t lost. If #socialmedia is part of your marketing strategy, chances are you’re already using Instagram… and we both know using Instagram is so much more than just a photo-posting application. 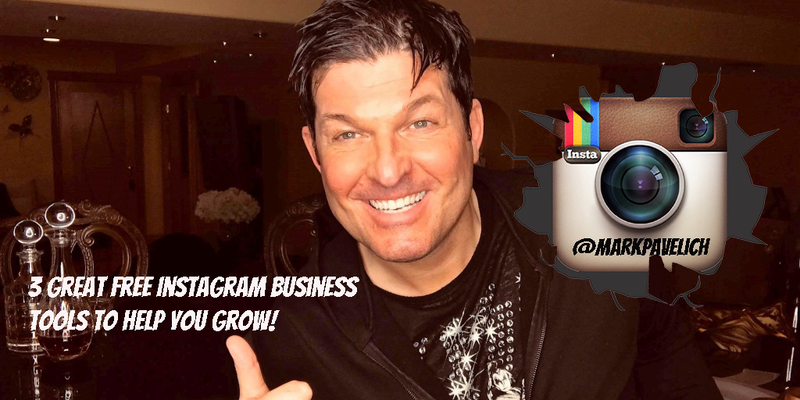 Instagram is an awesome place to share visual content and connect with your audience. Connect with Mark below! IT’S A GAME CHANGER!